A Toronto writer who used his house as a small grow-op for personal use took a big hit when selling the home but that was just the tip of the iceberg. His story serves as a reminder to brokers about the potential pitfalls of purchasing these properties. In his memoir, written for Toronto Life, Paul Illidge details the price he paid for growing eight marijuana plants in his Scarborough home. Former grow-ops have long been a bane to brokers, with many admitting they would endeavour to dissuade clients from purchasing such homes. 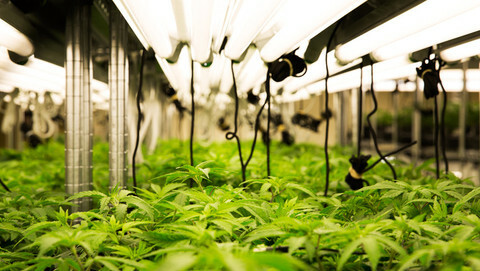 Dawson also wrote that although buyers may get a deal in purchasing a former grow-op, the property is likely to cost in the long-run, as the client would likely be stuck with higher rates at origination and renewal. It’s too late for the buyer of Illidge’s home, though. As for Illidge? He still has to live with the experience. Once a home has been remediated I think the title should be cleared and no disclosure required by sellers. Or all remediated homes should have to be disclosed. A hoarder's home with mould, animal feces and worse - once remediated is not required to disclose. Same with flooded propertied (exceptions apply). There are many house that are bought and sold that have much worse EXISTING issues than the remediated grow ops. It seems the only reason for sticking this on the property for life is to make property owners do more due diligence to avoid it happening. Unequal punishment for same crime it would seem.